Assam Chief Minister Tarun Gogoi inaugurated the Regional Geriatric Centre at the Gauhati Medical College and Hospital and said it would go a long way in providing proper healthcare to the aged whose number is growing. Inaugurating the 30-bedded Geriatric Centre, the Chief Minister said, “Proper care and treatment have to be given to the elderly who are afflicted with multiple problems”. 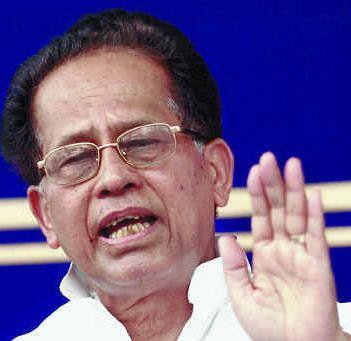 Gogoi said the rise in elderly population is a sign that medical care and treatment has made advancement though there is much scope for improvement. The medical scenario has improved in the state since 2001 with the coming up of new medical colleges and hospitals. But there is still much scope for improvement. Our aim is to build a healthy Assam. The Government is planning to have a Geriatric Ward in every medical college and district hospital of the State, Gogoi added. Calling for a holistic approach for a comprehensive health care for the aged with focus on the people living in villages, riverine and tea garden areas, he said, Focus has to be on Infant and Maternal Mortality Rates, anaemia and malnutrition in order to improve the health indices. Health & Family Welfare Minister Dr Nazrul Islam said the Geriatric Centre has six semi-ICUs, a state-of-the-art ICU, library and recreation facilities. “The elderly patients with multiple health problems will no longer have to wait at the OPD but can avail the best available treatment at the Centre meant exclusively for them”, he added. Dr. Islam said “the Government is mulling the idea to have PG course soon as the Geriatric Centre is housed with almost all facilities. Only four medical colleges in India have introduced PG course in this field”.